The best-looking Mustangs of all time. 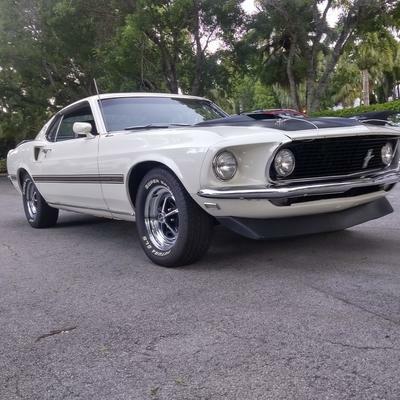 Aggressive, perfectly proportioned, and with details like the hood scoop and those cool quarter panel vents, it looks every bit the ideal muscle car. 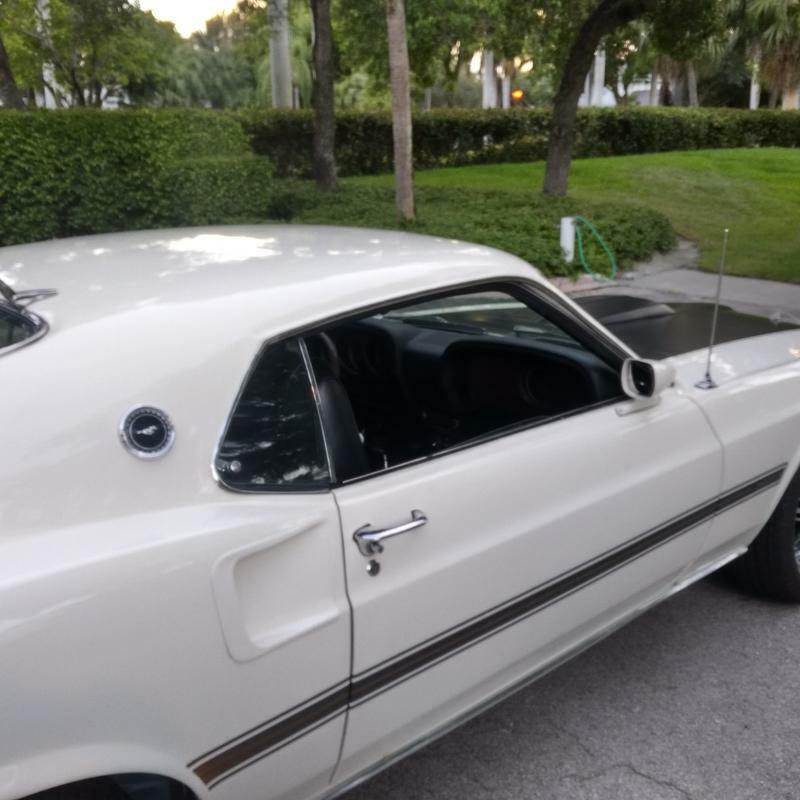 It appears that Wimbledon White with a blacked-out hood is the car’s original color, and it was repainted a few years ago to a standard that's better than the factory ever could have done in 1969. 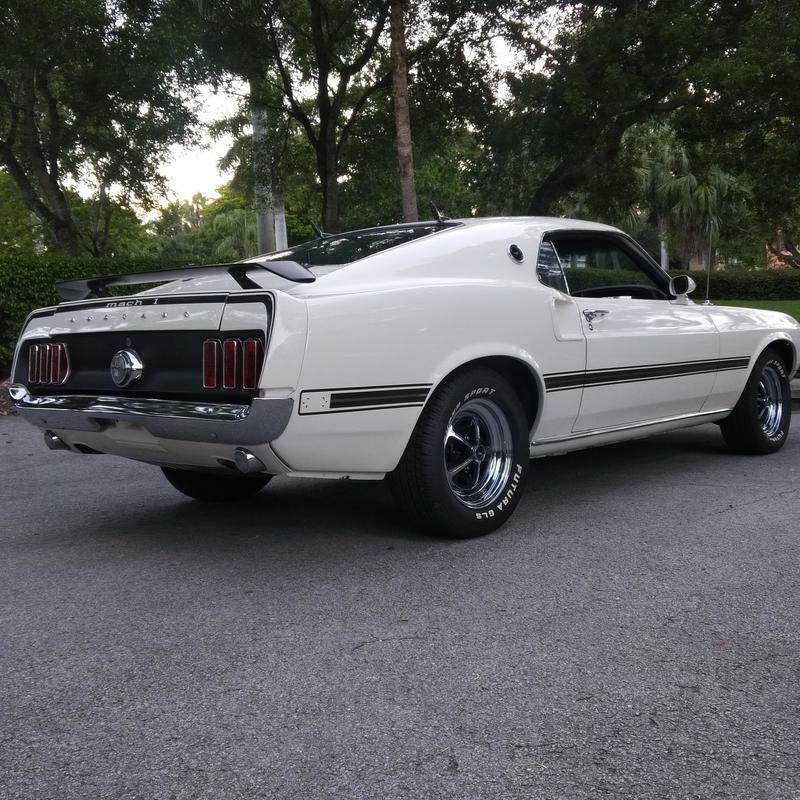 ​Of course, that satin black hood treatment, red Mach 1 stripes along the flanks, and the matching wing and window slats out back all add to the predatory look, The chrome bumpers have been re-plated, and all the emblems and badges are either original or exact reproductions. 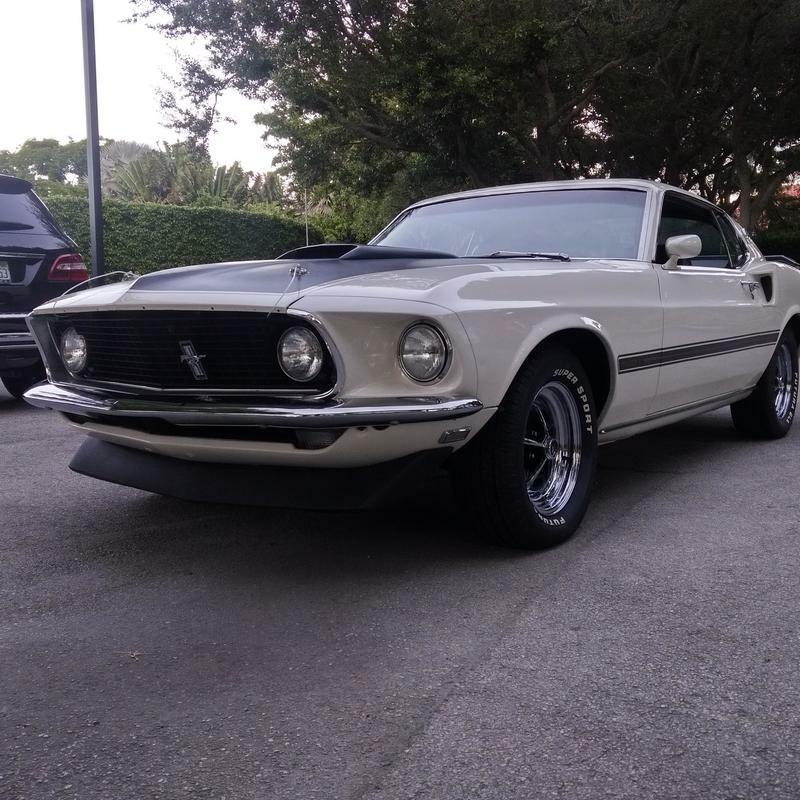 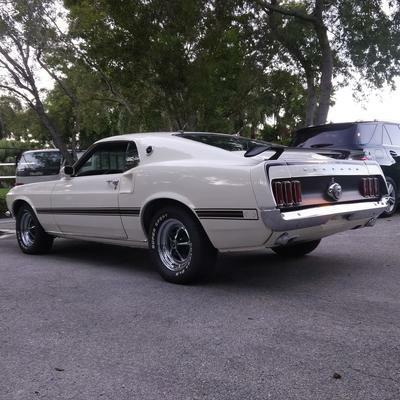 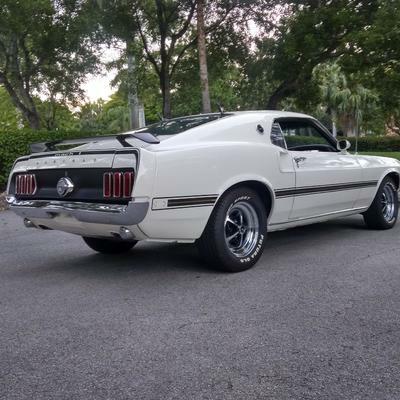 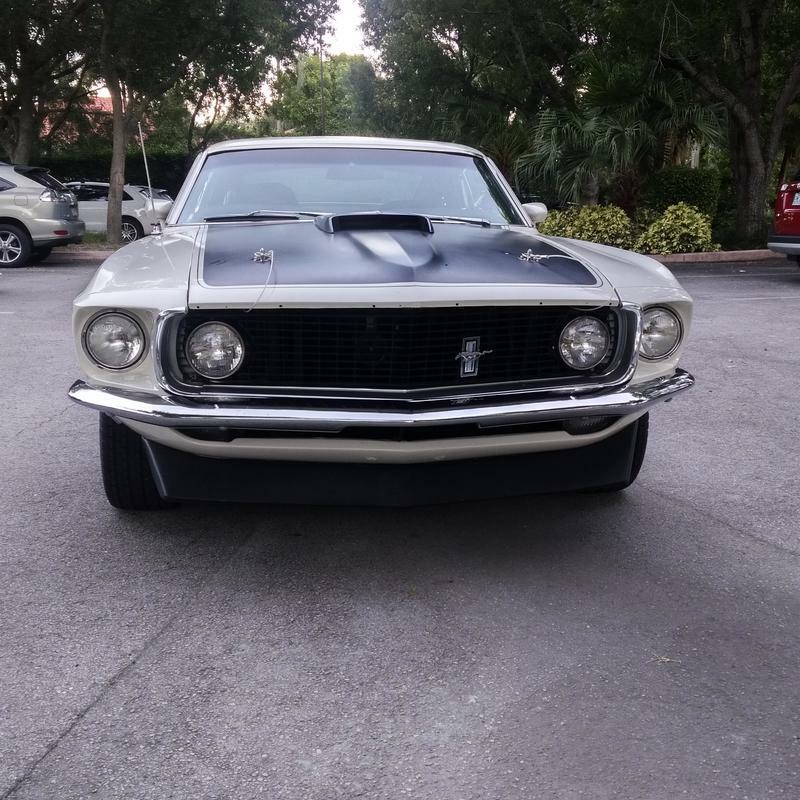 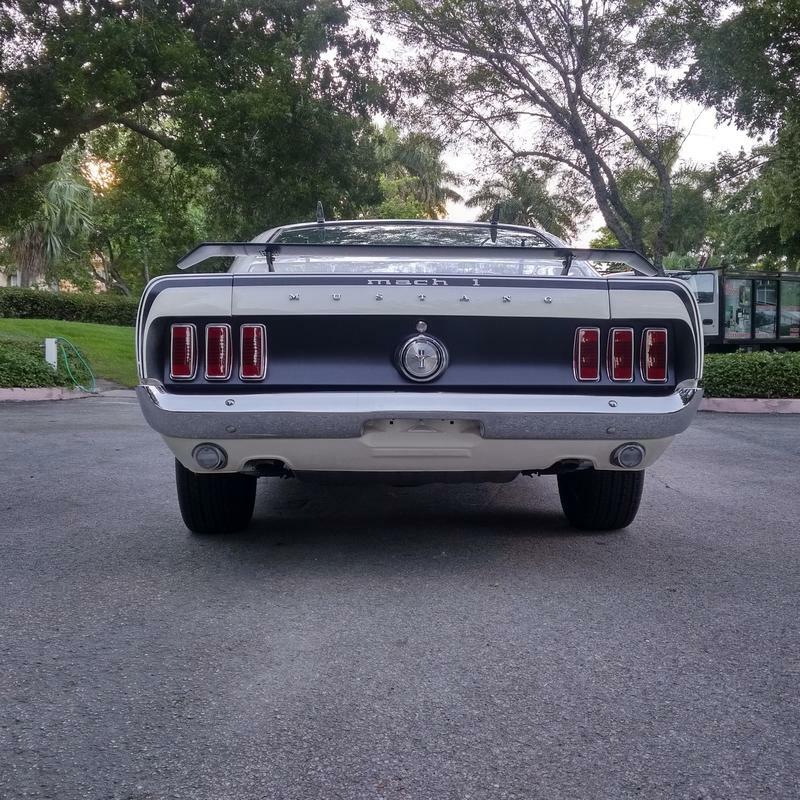 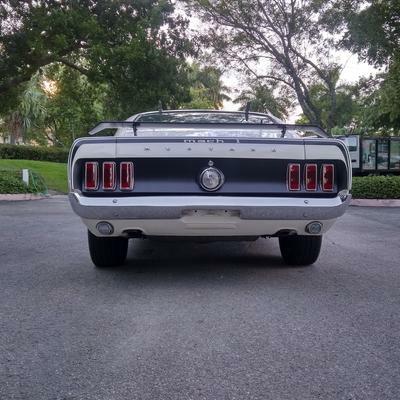 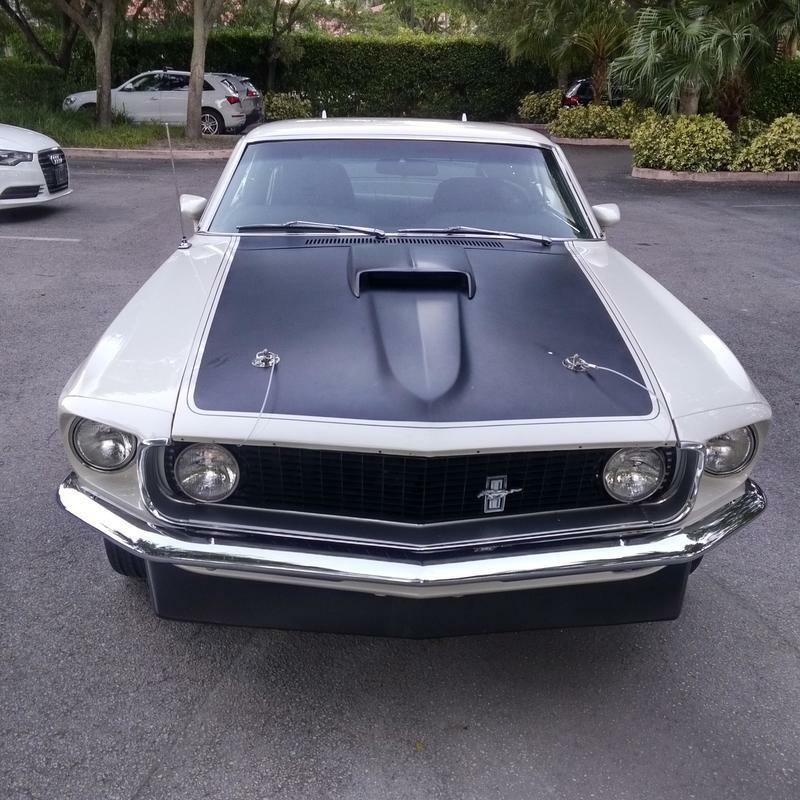 This beast comes complete with 351W 4BBL 4speed manual transmission, real deal 63C code Mach 1 factory power disc brake and factory fold down rear seat.